JERSEY CITY, NJ May 7, 2018 – Mohr Partners, Inc., the world’s largest wholly owned commercial real estate advisory firm exclusively focused on representing tenants, has hired Andy Grabis as managing partner for New Jersey. 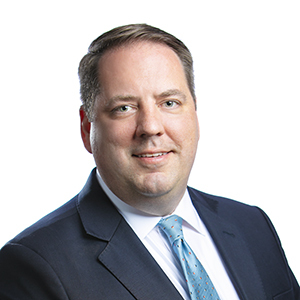 “Mohr Partners is committed to building a best-in-class commercial real estate services business in New Jersey under Andy’s leadership to serve our growing roster of clients throughout this important market,” Chairman and CEO Robert Shibuya said. Prior to joining Mohr Partners, Andrew worked for Binswanger as a vice president, where he led their New Jersey operation. There he provided consulting and brokerage services, and was responsible for business development with a primary focus of national corporate office and industrial users. Prior to Binswanger he was a senior manager for a regional mixed-use developer. Over his career, he has worked with several well-known companies such as Walmart, TJX, Tory Burch, GAF, Standard Industries, Comcast, NBC Universal, SONY, Johnson & Johnson, Aventis, Pell Rudman, Avaya, The Tasty Baking Company, Conair, M&T Bank, Toys ‘R’ Us, Zoetis, Schering Plough, T3i Group, and the U.S. Postal Service. A licensed real estate salesperson in New Jersey, Andrew is a graduate of the Delbarton School and Villanova University.